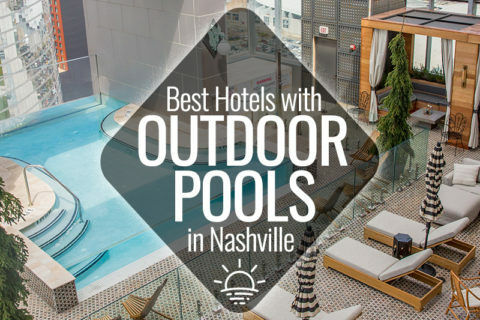 Breakfast is the most important meal of the day and Nashville is chock-full of amazing breakfast restaurants. This is the Nashville Guru guide to the best breakfast in town. If you’re looking for brunch spots, check out our Brunch Guide. Biscuit Love started out as a food truck in 2012, founded by Karl and Sarah Worley. 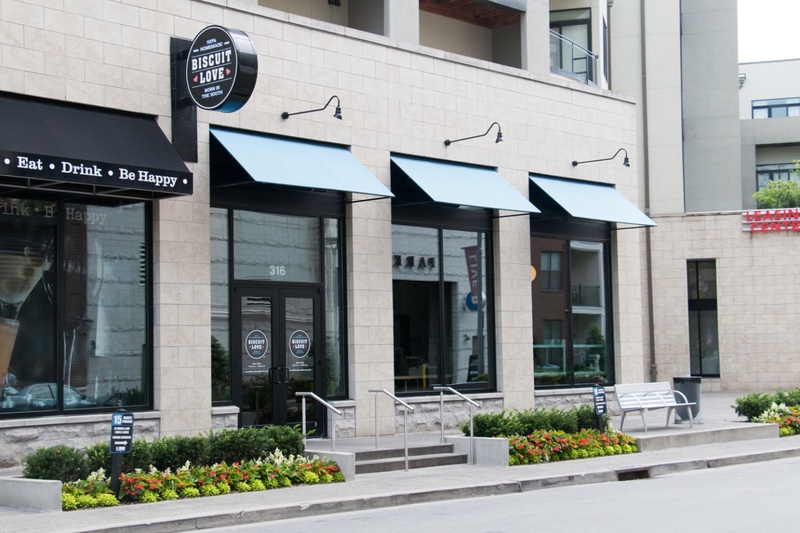 After a couple years of food trucking and building a strong following, they decided it was time to solidify things with a brick-and-mortar location in the thriving Gulch neighborhood. 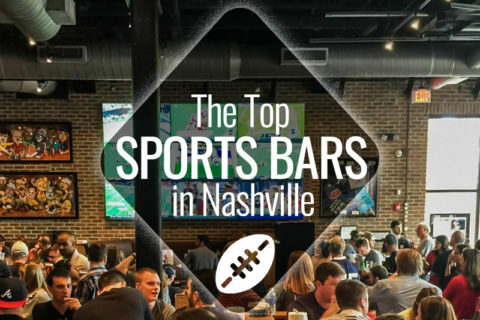 In 2017, they opened a second location in Hillsboro Village. Now, Nashville can enjoy Biscuit Love’s southern-focused, locally-sourced cuisine any day of the week (without tracking down the food truck). You’ve got to try the “East Nasty” or “Southern Benny” menu items. 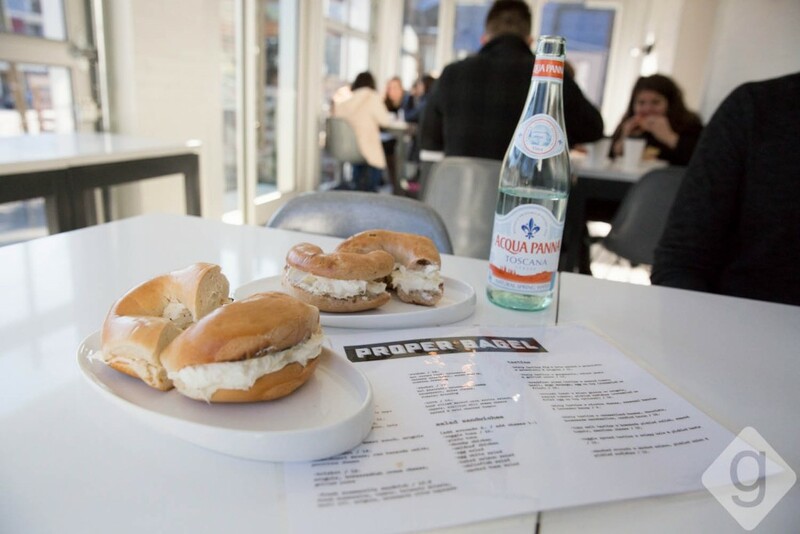 Proper Bagel is an adorable New York-style bagel joint and market located on Belmont Blvd. They serve Barista Parlor coffee, some of the best bagels in town, sandwiches, and salads. Proper Bagel also has a grab-n-go market with options like one-of-a-kind smoked fish flown in directly from Brooklyn, New York. 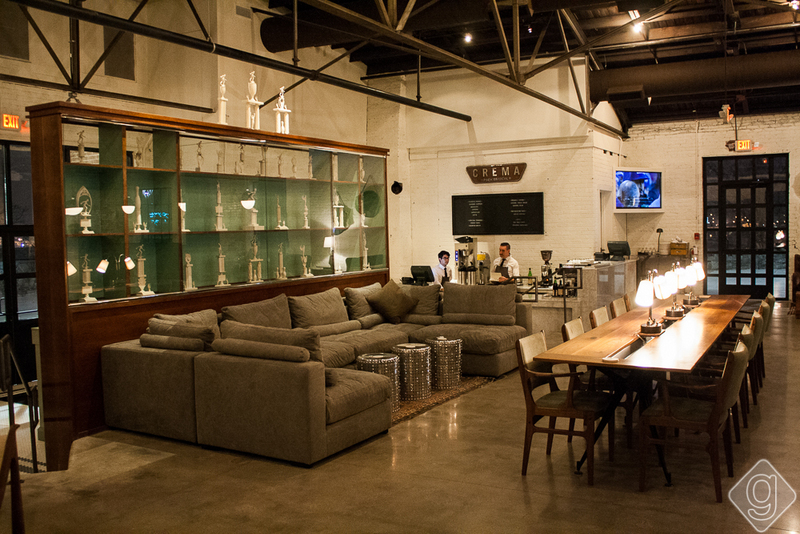 The space is impeccably designed and welcoming, albeit, small, so get there early! This place is known to have a line out the door on busy mornings. Sun Diner is located in the SoBro / Downtown area, and pays homepage to Sun Records’ legendary artists. 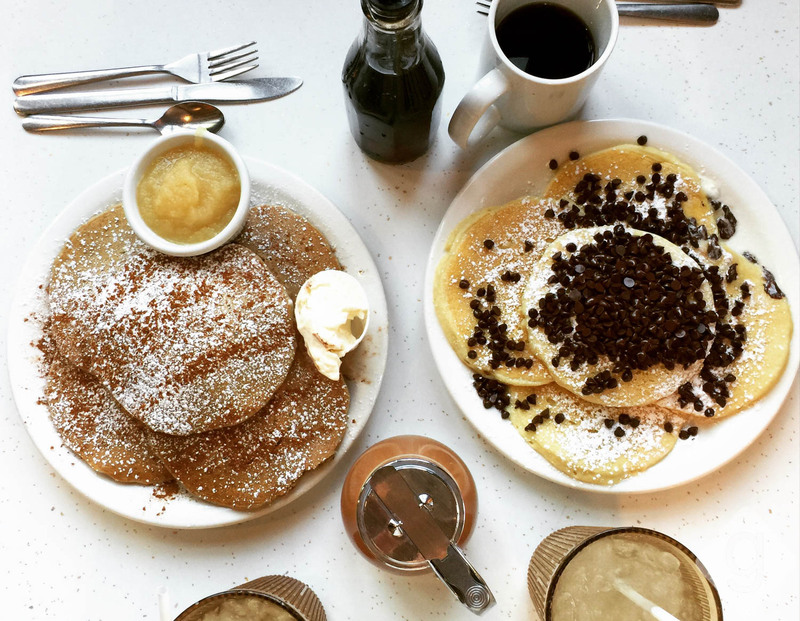 The 24-hour diner offers a variety of breakfast classics, burgers, and sides. Menu items include options like the Hangover Flatbread, breakfast tacos, “Feelin’ Good” breakfast burger, and Bananas Foster’s Pancakes. Whether you want breakfast at 3:00am after honky tonkin’ or want a great business meeting spot, Sun Diner has you covered. 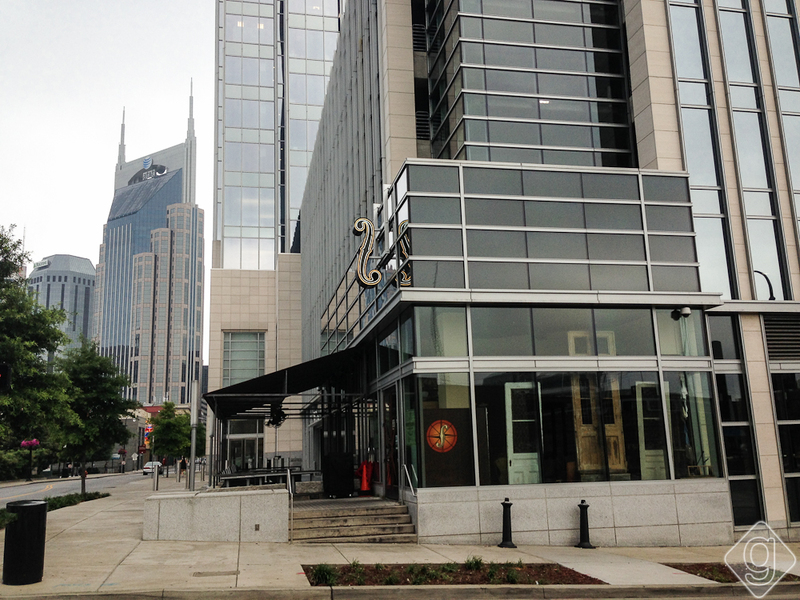 Pinewood Social is another great option for weekday breakfast in Nashville. With breakfast items like the The Graceland, Egg in a Jar, and Short Rib Hash, you’ll leave with a full belly. Although they only serve breakfast from 7:00am until 11:00am on the weekdays, you should also check out the weekend brunch on Saturdays and Sundays. 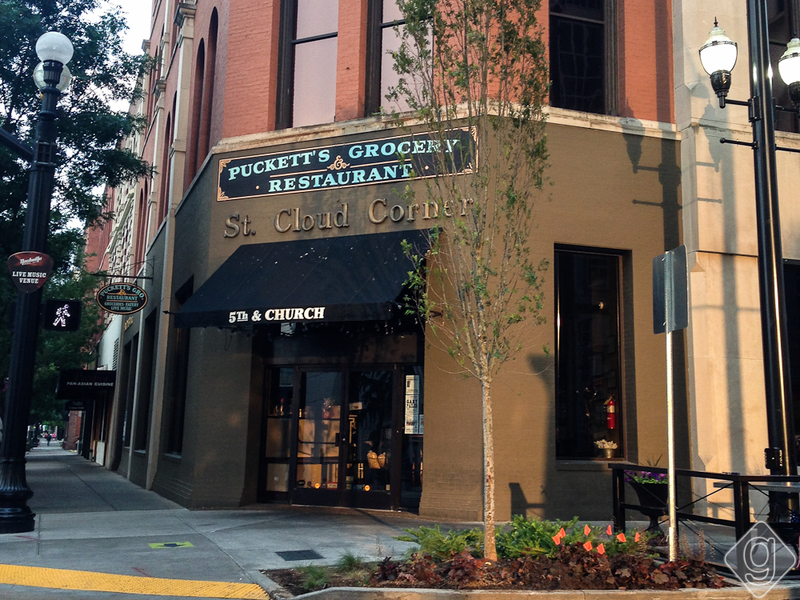 Although they are known for their BBQ, Puckett’s sweet potato pancakes won’t go uneaten. The breakfast platters are hard to chose from, and on the weekends, choosing isn’t necessary because they have a breakfast buffet. This is not fancy, delicate food — this is Southern food. So if you’re in the mood for country ham and thick gravy over biscuits, this is your place! The Southern may not be the first place you think of in Nashville for breakfast, but they should be! Served Monday through Friday from 7:30am until 10:45am, they serve-up a delicious first meal of the day. Just like the menu they serve at lunch and dinner, all breakfast items are made from scratch with fresh ingredients that turn out to be a delicious dish with a southern spin. One of our favorite things about eating breakfast at The Southern is the free wifi and parking as well as the semi-private booths. It’s a perfect business meeting spot. 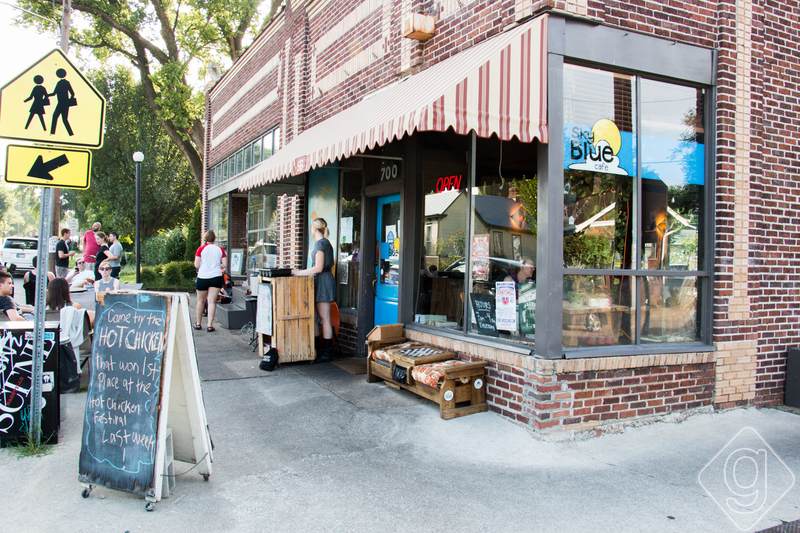 Sky Blue Café is a quaint, hidden treasure of East Nashville. The tables are draped with mismatched table clothes and topped with an eclectic collection of salt and pepper shakers. The breakfast menu is hard to beat with items like Nutella and banana-stuffed French toast pancakes, 3-egg omelets, and homemade chocolate milk. 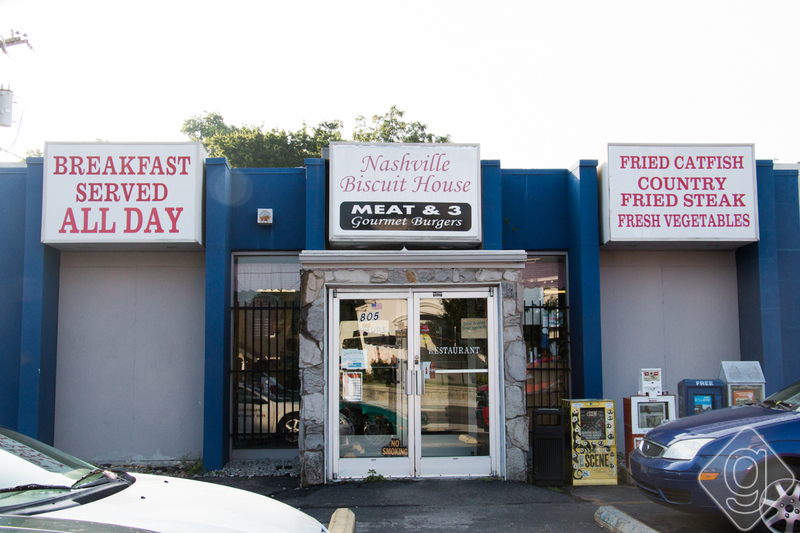 Casual and a little rough around the edges, the Nashville Biscuit House gets loud and crazy. Waitresses race by with eggs and coffee in their hands as the line of patrons builds. The food is good and cheap, and there’s plenty to go around. If you come solely for the scrumptious, doughy biscuits, order extra, because only one comes with most meals. Get to Hillsboro Village early and wear comfortable shoes. 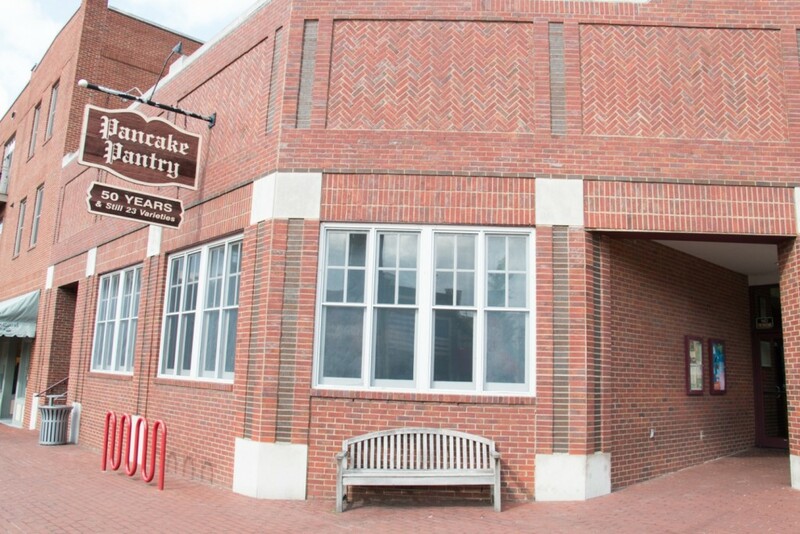 The line at Pancake Pantry can be intimidating at first sight, but the delicious food and wonderful service keeps people coming back. It’s always worth the wait. 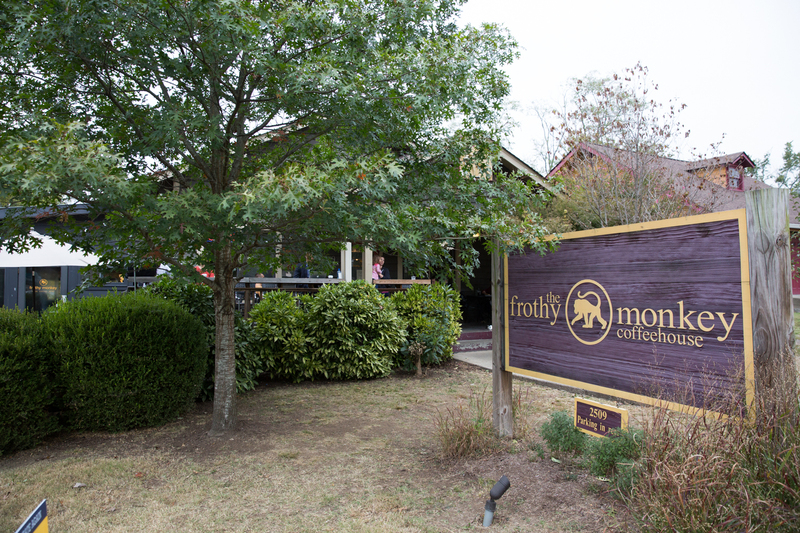 Frothy Monkey is a well-known coffee shop with multiple locations in Nashville, but they also have an amazing food menu. What’s great about this breakfast option in Nashville is they serve the breakfast and brunch menu until 5:00pm daily. With easily accessible locations in 12 South and downtown Nashville, you should consider Frothy Monkey a go-to for your A.M. or P.M. coffee and breakfast needs. Simple and without frills, this 1950s-themed diner is laid-back and inviting. Noshville has every kind of omelet you need plus unique hash brown/potato rounds. This is a wonderful place to sit and enjoy eggs, bacon, bagels, and coffee. There’s plenty of parking, too! 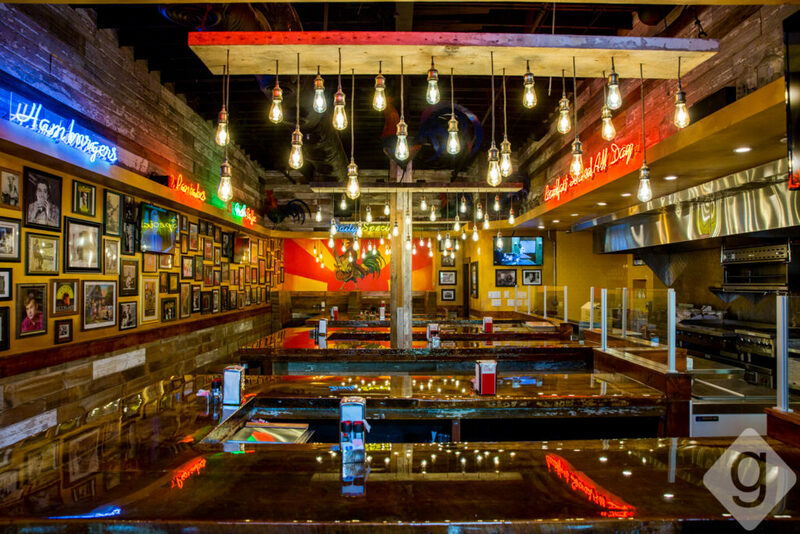 You may have seen these tight quarters on Diners, Drive-ins, & Dives. 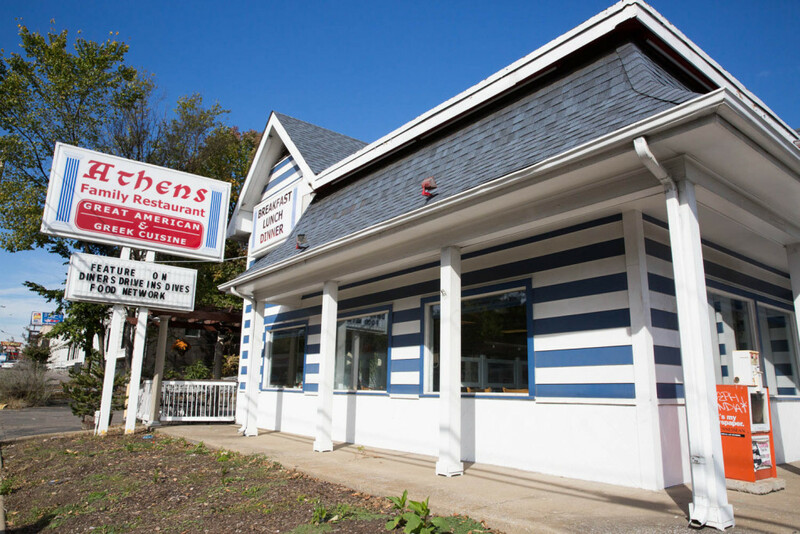 Athens Family Restaurant holds a lot of character, both in the décor and the food. If you want a small taste of Greece in your breakfast, this is where to get it. Eggs, bacon, and toast are pretty universal, but try the Gyro omelet and take your taste buds on a quick flight to Athens. 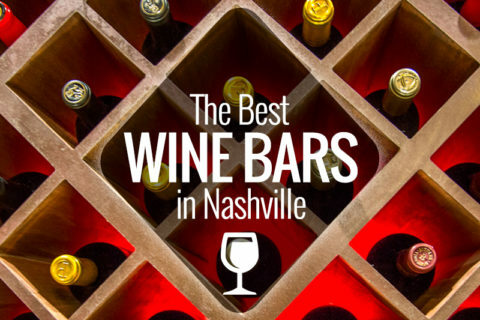 Come for food and a dish of history when you visit 417 Union in Downtown Nashville. As you walk in the front door, you step back to the World War II era. Keep traveling to the dining room upstairs, and you’ll find yourself in the Civil War. The food, however, is what you will remember most. 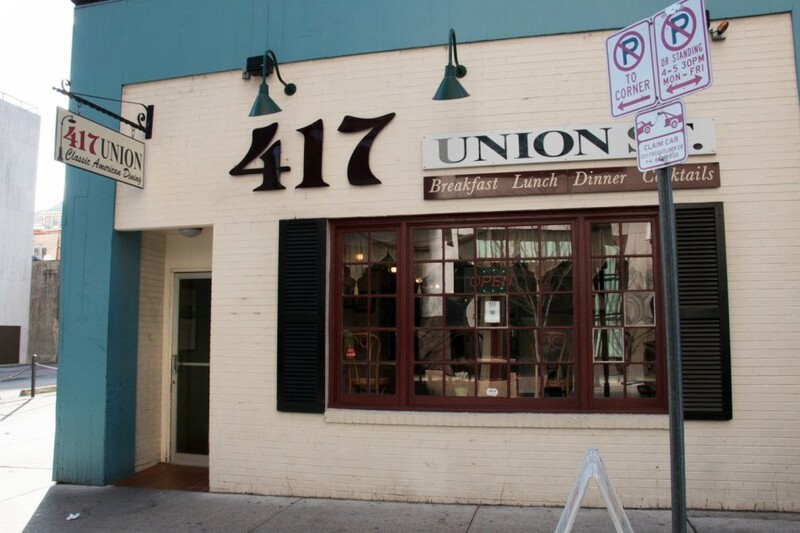 Enjoy mountains of caramelized pancakes and thick bacon while you soak up the past at 417 Union. 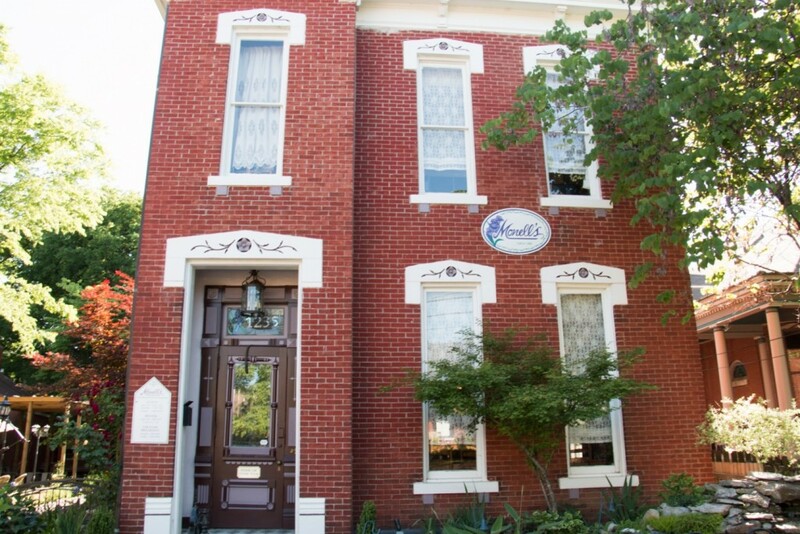 Come hungry when you head to Monell’s for their “Weekend Country Breakfast.” Though best known for their skillet fried chicken, Monell’s in Germantown is also one of the best weekend breakfast places in Nashville. You sit down with other diners in family-style fashion, passing dishes and stories. The food is as Southern as it gets, and you get plenty of it. The breakfast is complete with eggs, grits, pancakes, bacon, sausage, biscuits, and more. If you’re in a restaurant rut or sick of dining out, this is the place to turn it all around. Be prepared to use a spatula and Pam Spray, because at the Pfunky Griddle, you are the cook! Each table has a built-in griddle in the center, and you’re equipped with the raw ingredients (batter, eggs, bread, etc.) to whip up a creation. 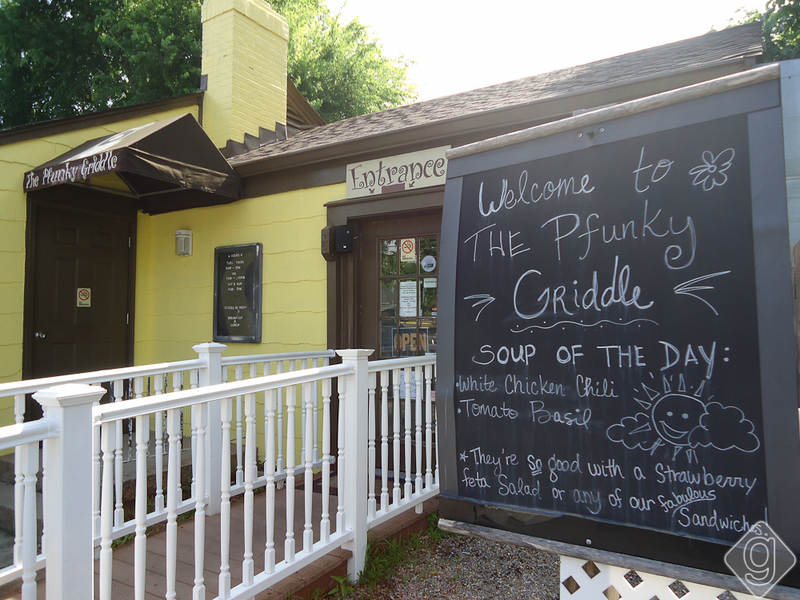 Pfunky Griddle is a house turned restaurant, so it’s cute, quirky, and adorably designed.  Parking may be a challenge due to its location and popularity, but it is worth it once inside! 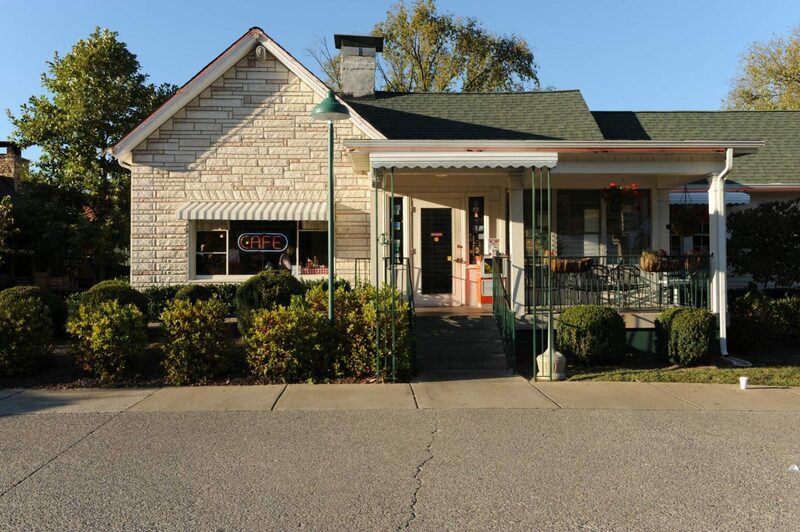 Get out of the city and discover a piece of Nashville history at the intimate, one-of-a-kind Loveless Cafe. Their country-style breakfast will make you feel right at home with warm biscuits and thick chocolate milk served in mason jars. The breakfast platters will overwhelm you, but not as much as the southern hospitality and charm. The waitresses are the sweetest and the gift shop next door cannot go unvisited. 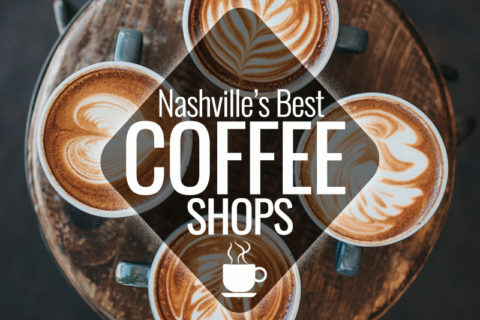 5 Comments on "Best Breakfast in Nashville"
love this article! I have done the breakfast rounds, and I gotta say …the biscuit house has my vote for best food. pfunk is really cute but if your seriously hungry…the biscuits the way to go. Elliston Place Soda Shop is my fave breakfast hang! Full breakfast menu and good diner coffee! Love the chicken fried steak and gravy with biscuits – yum! 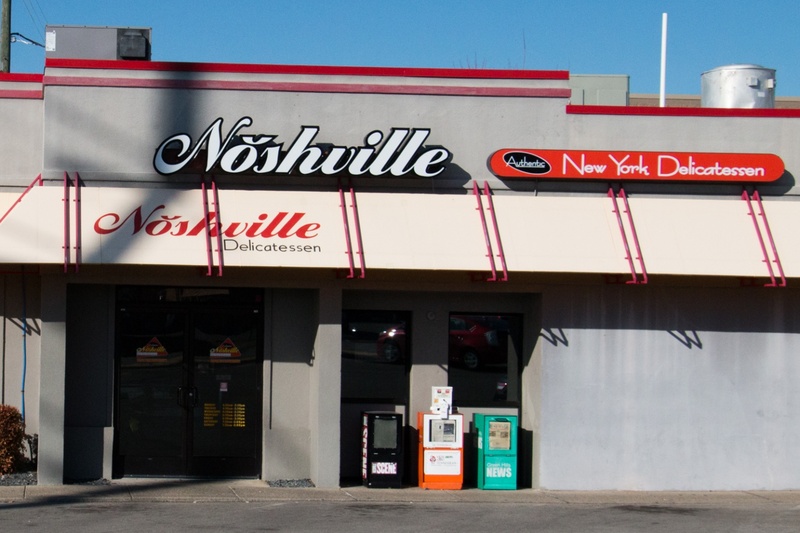 Noshville is always my go to for breakfast or brunch! Fairly cheap without the greasy, heavy-ness. Love the atmosphere, wait staff is always friendly. Wide variety breakfast menu will satisfy meat lovers, veggie loves, tradtional breakfast and those looking for something a little healthier. Everything always tatses fresh! Sky Blue Cafe is my favorite spot for a delicious breakfast. Great variety of tasty food choices, friendly people, a nice relaxed vibe and really good coffee! I work in east Nashville. I enjoy stopping by this little gem and having breakfast. The breakfast sandwich is my fav!